← Tillamook Old Fashioned Vanilla Farm Style Yogurt…Winner! 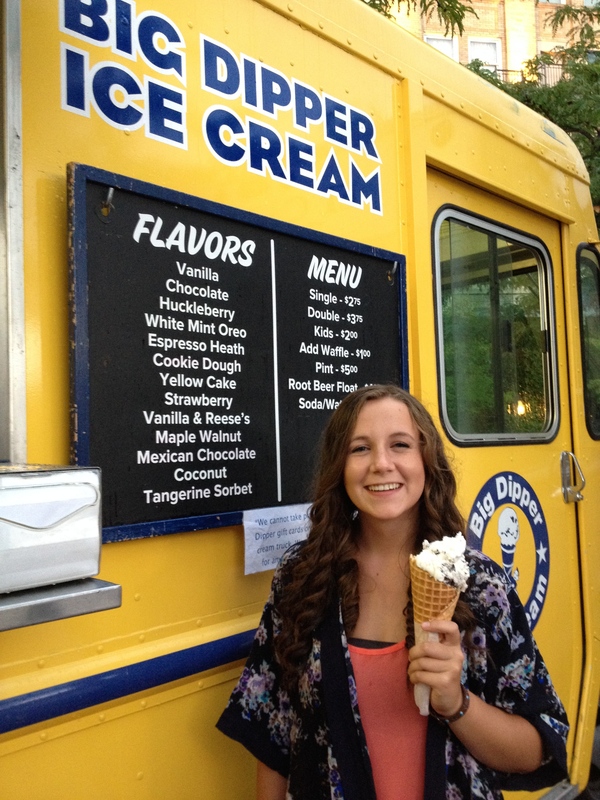 Big Dipper Ice Cream is out of this world! Should you find yourself in Missoula or Helena Montana, you must make your way to Big Dipper ice cream. Handcrafted with only the finest, purest ingredients and served by true characters, it is the way ice cream should be. Lines form early and people are happy to wait a little for a cone, sundae, or a ice cream soda. I had a Coconut cone, my husband had Espresso Heath, my daughter had White Mint Oreo, and all were delicious and fresh. They also have a truck called “Coneboy” that shows up at various festivals. You can have the truck come to your function, too. If you spot the truck and if you think you’re too full for dessert, get a child’s size cone, and you’ll be glad you did. Check out their web site for more information about their award winning shop, and let me know if you have visited them, and what your favorite flavor was. Posted in awards, Ice Cream, travels and tagged Helena Montana, ice cream. Bookmark the permalink. Thanks! Are there any unique flavors that are favorites in Australia?